Intravenous (IV) therapy is the delivery of fluids, blood, or medication directly into a patient’s system through the veins. The main advantage of IV treatments is the ability to quickly introduce these things into the body. 80% of admitted U.S. hospital patients receive an IV, yet the current failure rate is 50%. Although it is considered a routine procedure, like any medical procedure there are risks involved. 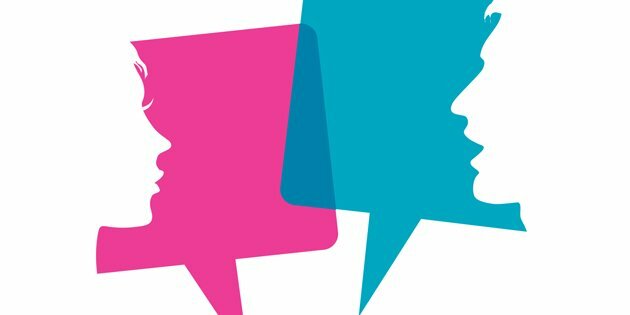 Patients should talk to their medical team to make sure they are being monitored for possible complications like infiltration, phlebitis and infection. 1 out of every 4 Americans has a fear of needles and everyone’s tolerance to pain is different, but most patients barely feel the placement of a standard IV. Some healthcare providers will pre-treat the skin with a very cold spray to numb the area and minimize discomfort. Minor complications include mild discomfort, bruising, redness, itching, inflammation, and redness at or around the IV’s site. More serious complications include infiltrations, phlebitis, and extravasations. Symptoms to look out for include severe inflammation (swelling), blistering, or a significant amount of pain near or around the IV placement site. What if I think something is wrong with my IV? If you experience symptoms such as pain, swelling and/or redness, alert your medical team right away as these can be signs of more dangerous complications. 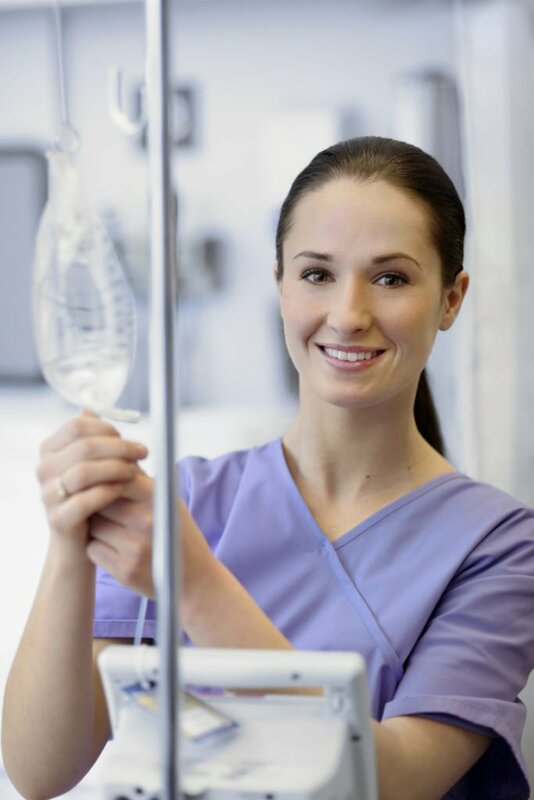 Normally, Registered Nurses (RNs) administer a patient’s IV treatment. This depends on the type of treatment you’re receiving and the type of IV being used. It also may differ based on the hospital protocol where you are receiving treatment. What are the different types of IVs? 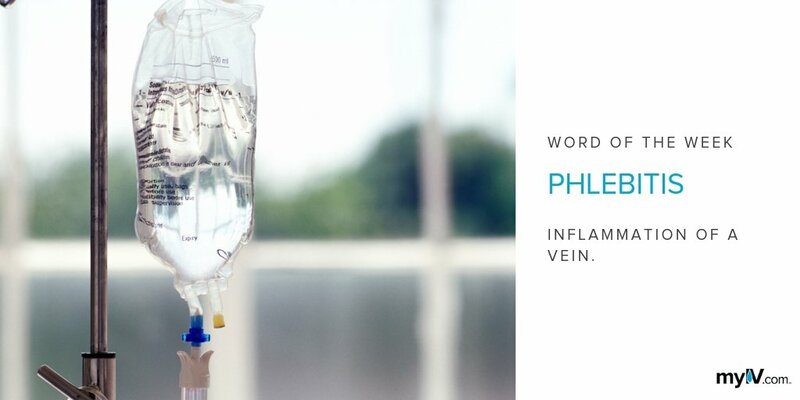 Peripheral IVs, otherwise known as Standard Lines, are most often given to surgical or emergency room patients and aren’t typically left in for more than four days. Central Lines are more invasive, leading directly into the heart and can be left in for several weeks/months. www.myIV.com is the resource to empower and inform patients and caregivers on IVs and IV therapy. We bring you current information from trusted healthcare experts, so you have one less thing to worry about.